The London Media Exchange (LMX) announces it has entered into a partnership with Ternio, to provide verification and transparency into media costs. LMX, the first European forwards and options market, is partnering with the blockchain-based transparency solution for programmatic advertising to evaluate verification technology to bring full transparency into the costs associated with each layer and ad impression, and supply verified inventory to all advertisers. 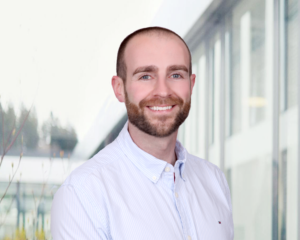 ExchangeWire speaks exclusively with Ian Kane (pictured below), Ternio’s co-founder, about how this will operate, and why blockchain will deliver the promise of transparency the programmatic industry is seeking. ExchangeWire: The London Media Exchange (LMX) has recently partnered with Ternio – how do both business models work and why was this partnership important to driving both of these models forward? Ian Kane: LMX is a European forwards and options market, an exchange that is much like NYIAX in the United States. Ternio is a blockchain-based digital advertising company that brings transparency to the digital advertising ecosystem through a verifiable and decentralised asset which ensures contract terms are met. Ternio’s utility token (TERN) is used by advertisers, publishers and ad tech companies to verify users, instantly pay publishers and protect advertisers from ad fraud. LMX will adopt Ternio’s blockchain solution and supply blockchain verified inventory to advertisers. This partnership lets LMX provide transparency of transactions in a programmatic environment and gives Ternio another participant in the ecosystem. The more companies that integrate Ternio, the more the transparency model will grow. How can blockchain support the media options and futures market? The same way Ternio will support regular media buying and selling. By offering a more efficient and transparent way for companies in the digital advertising market to buy and sell ad inventory. Participants on LMX will utilize forward contracts to buy and sell an asset at a specified price and future date. Ternio will be the underlying blockchain technology enabling advertisers to verify users, instantly pay publishers, and fight ad fraud. Is blockchain the answer to making the digital advertising industry transparent and fraud-free? We firmly believe blockchain IS the answer to solving many of the pain points that digital advertising currently suffers from—particularly a lack of transparency, a proliferation of ad fraud, and lengthy payment terms. Juniper Research says that USD$19bn (£13.3bn) will be lost this year. 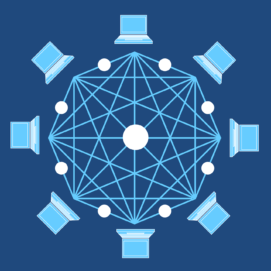 Blockchain brings transparency to all participants in the system—enabling both buyers and sellers to know exactly how many intermediaries they are transacting through. It is faster, cheaper, better—offloading a lot of the month-end reporting and remittance which creates a lot of overhead for companies. With blockchain, payments can be done right away so we can eliminate the payment lag for publishers. No more waiting 60 or 90 days to collect payment. Where does Ternio’s blockchain offering sit in the media supply chain? Is it another layer between the advertiser and the publisher? It is important to clarify that Ternio does not get involved in ad serving, yield management, data targeting, or other ad tech-related competencies. It runs as a complementary solution integrated with the ad tech company, not as another layer. A brand or agency will build their insertion order with Ternio so the contract is digitised on the blockchain. When the campaign is activated, the demand- and supply-side transactions will be recorded within the blockchain for every intermediary within the ad supply chain. Each intermediary will then be able to access the Ternio UI to visualise this data and make more efficient buying and selling decisions. Given the size of the programmatic advertising industry, is scale and the ability to scale further not a challenge for blockchain technology? Exactly! The common misconception about blockchain was that, “it will never scale for digital advertising.” Ternio solved that issue, currently tested at 1.2 million transactions per second, all recorded on a decentralised ledger. The largest trading desks in the market currently do millions of QPS (that is 100% of volume). Ternio’s technology will be able to handle this scale, giving advertisers and publishers the ability to transact on blockchain without changing any of the ad tech companies they are already comfortable working with. Why do advertisers need blockchain and how do they even begin to adopt the technology? It depends on what the advertiser needs are. Some may use blockchain for attribution or data targeting. For Ternio, we decided to tackle the inefficiencies of the digital ad market, which includes a lack of transparency, ad fraud, and lengthy payment terms. Digital advertising is not sustainable based on the current trend and it’s made apparent by brands pulling back on ad spend. Something had to give and we felt blockchain was the ideal solution—it brings trust to any trustless environment.